What does an Alphagraphics Franchise Cost? The choice is yours when it comes to your Alphagraphics franchise. Join the franchise leader in the print and marketing industry. The total liquid capital required is $150,000 and the total investment ranges from $190,688 to $380,287. There are three options which range in size from the smallest footprint of 1,500 square feet all the way up to largest which is 3,500 square feet. The Print Industry is a $640 Billion Industry and experiences a 6.8% growth annually. Open an Alphagraphics franchise and you'll join a system with a long history of success and, one which has a large global presence. 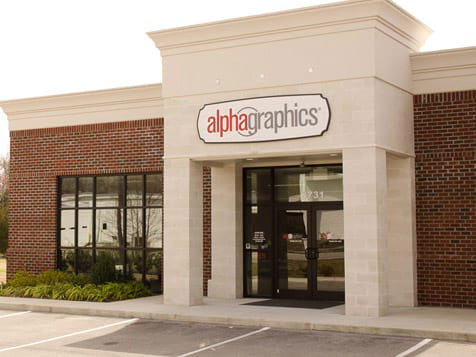 For almost five decades, Alphagraphics has expanded to 258 U.S. locations and 23 international locations. Receive tremendous support and leadership that comes from a management team with a combined 150+ years in franchising and over 175 years in the graphics and printing industry. Learn more about joining the leader in print and visual communications as an Alphagraphics franchisee. In today’s digital/web-based environment, Alphagraphics utilizes the latest in technologies in marketing to drive leads to you and your customer’s business. You do not need to lease a huge space, purchase and maintain lots of equipment, nor even have multiple employees to handle daily operations. In fact, this pathway is much simpler. The new Alphagraphics center offering represents the lowest possible investment with the highest possible return – a winning combination for new business center owners. Center size = 1,500-2,500 sq. ft.
Center size = 2,000-2,800 sq. ft.
Center size = 2,800-3,500 sq. ft.
AlphaGraphics has been in business since 1970, is a Top 200 Franchise brand, and is the leader in providing marketing solutions to small- and medium-sized businesses in the local community. Their goal is to be the “one-stop” solution for clients – providing conceptual ideas and campaigns to help clients grow their business using a wide variety of technology, print, and marketing media while generating multiple revenue streams for the owner. Alphagraphics franchisees come from all types of business backgrounds. Most of our franchisees have no print or graphics backgrounds at all. The Alphagraphics’ franchise team will walk you through every step of the process from marketing and sales to equipment operation, to staff procurement and development, and more. 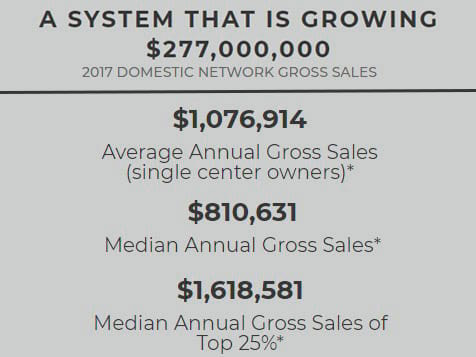 AlphaGraphics is coming off a record year of many financial metrics including gross sales, average unit sales, and more. Each AlphaGraphics center is independently owned and operated and it's important to realize that your particular business results may vary. *Please refer to the Alphagraphics Franchise Disclosure Document for more details. The numbers speak for themselves. Inquire today to learn more about becoming a part of this exciting opportunity!